Mohammed Afif was born on 30th December 1956 in the Maldive Islands, and immigrated to Seychelles with his parents in 1964. He is married and has two children. Mohammed studied at Seychelles College, and read BSc Physics at the University of Manchester. He holds a Bachelor’s Degree in Education from the University of Exeter (1986), as well a Master’s Degree in Education from the University of Leeds (1991). He also holds a Certificate in Educational Assessment from the University of Cambridge Local Examinations Syndicate (1990). Mr Afif joined the public service as a secondary schoolteacher in July 1980, teaching at Anse Aux Pins and Les Mamelles Schools as well as teaching A Level Physics at the Seychelles Polytechnic. From 1986, he worked as a Curriculum Development Officer in the Ministry of Education. He rose rapidly in the ranks of the education system to the post of Director of Curriculum Development in 1993, Director-General of Education Development in 1994 and Principal Secretary for Education in January 1995. Mohammed left the education sector in 1998 when he was appointed Principal Secretary for Administration. In September 2001 his post was expanded with the addition of the portfolio of Manpower Development, and in February 2005 he returned to the role of the Principal Secretary for Public Administration. He served as Secretary to the Public Sector Commission from 1998 to 2006, and remains a Member of the Commission to date. In August 2006, Mr Afif was appointed Secretary to the Cabinet. In June 2010, he was appointed as Secretary of State for Cabinet Affairs , who is also the Head of the Civil Service. 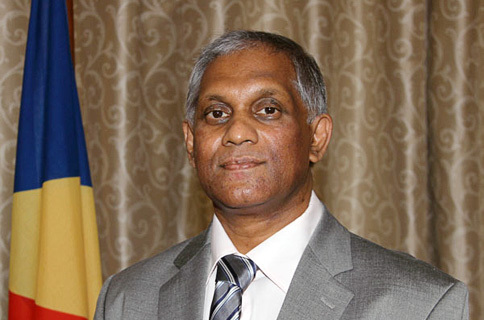 On 16th October, Mr. Afif was named the Secretary of State for Cabinet Affairs, following a reorganisation of the Office of the President under the new leadership of President Danny Faure.